Great old fashion looking deli with modern kitchen. 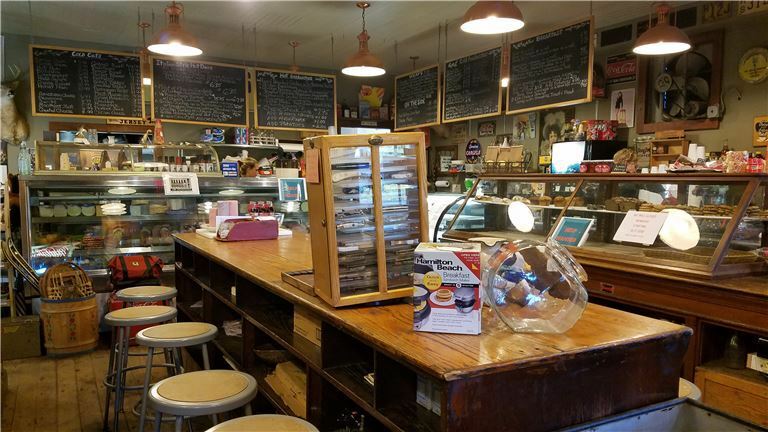 Its interior decoration is a reminder of an old-fashioned general store – with all updated fixtures and kitchen. The pies baked by the owner are famous. The building is available, and free standing with 2nd floor. The second floor can be used as retail, office or can be converted to a residential. You can live upstairs and work downstairs.